In recent years, a great number of eCommerce stores have sprung up unlike the old traditional methods of having sales outside the eCommerce platform. With the surge of several eCommerce sites, comes the need to improve sales and better represent themselves with the help of a website development company in India. Several methods have been utilized such as websites and lots of other social media sites. In today’s world, having a website for your eCommerce store is inevitable. Outlined below are some of the tips which would be very useful if you want to increase the conversion rate for your eCommerce website. The last thing you want to do is make your website conflicting for visitors. Always ensure that your website is helping you reach your business goals and serves the purpose for which it was created. Indicate in simple terms what your company is all about and why people should patronize you and no other eCommerce store. Try to ensure your designs, messages, content and services are all speaking in one unified voice and not conflicting in the image they portray. They say a good first impression always leaves behind a long and lasting impression on the minds of people. Customers want to see amazing pictures of the product you are selling and also be able to build that image in their heads of how they will look in the product if it is something they can wear –Pictures as we all know are worth a thousand words. 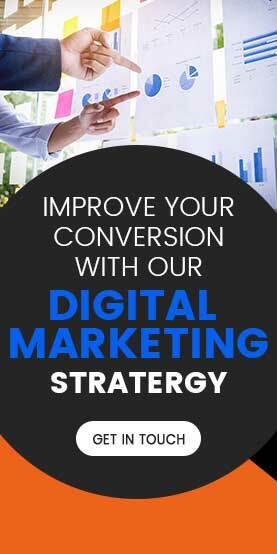 Make use of this great strategy and increase your conversion rate. Also show the pictures of the product taken in different perspectives and angles so that they can fully grasp all that is needed about the product. An estimated 74% of customers use social media platforms for pictorial samples before they make a purchase, so you will be requiring a high resolution camera so as to display that product in high resolution. This might not be a preferred option for some people due to the little cost implication and reduction in profit margin but it has been tested and has been more than effective in majority of cases. Offering free shipping to customers is a bait for the fish which will almost always work especially if your products are great. According to Statista, it is said that majority of people don’t get converted because of high shipping costs. As an e-commerce owner, you will need the service of a great content writer who can provide awesome product description for your products. The product description written is very vial because a lot of people refer to this before making that purchase. With an awesome product description you are sure to have a better conversion rate. User experience (UX) and User interface (UI) have played a vital role in boosting conversion rates. A well designed UI can experience can boost your business lead generation and sales in the long run. Having a good UI and UX in place, can excite your visitors and keep them coming for more. Website developers India has without doubt, yielded lots of positive results in eCommerce website development –many eCommerce stores have resorted to website for increasing the conversion rate since it has proven itself as a noteworthy platform.